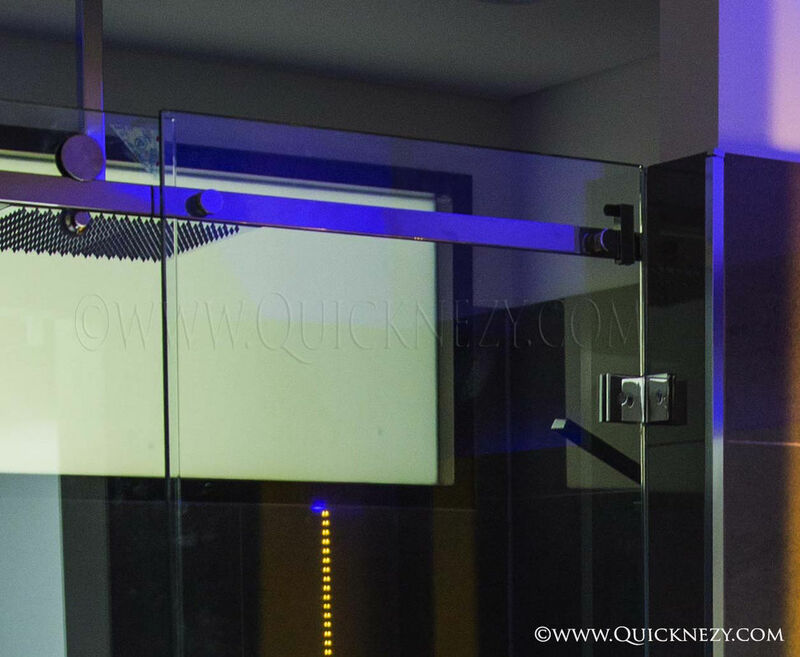 They are surely the exceptional of all the Shower screens and need precise measurements n careful installation methods to deliver a master piece. 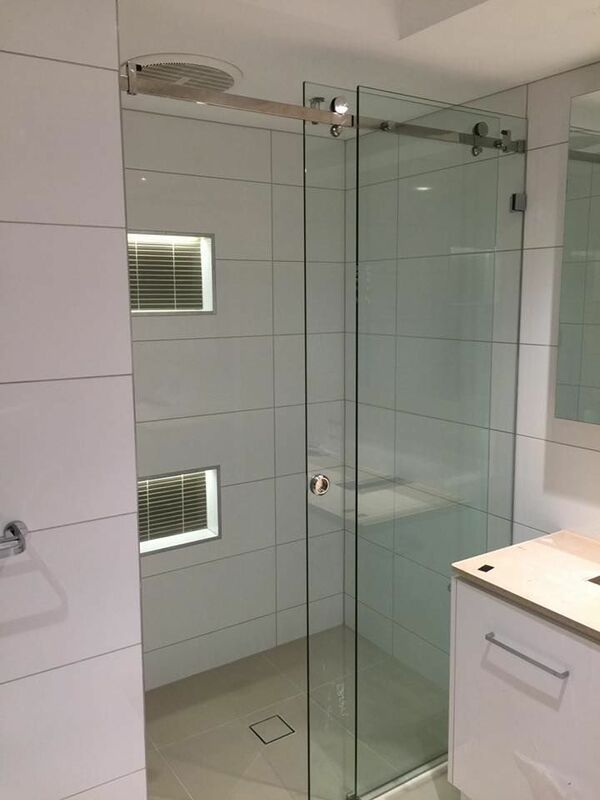 we cater to any type of shower area in your bathrooms and ensuits..
# Full front and return glass screens have become the trend today and we have been the masters when it comes to frameless screens. 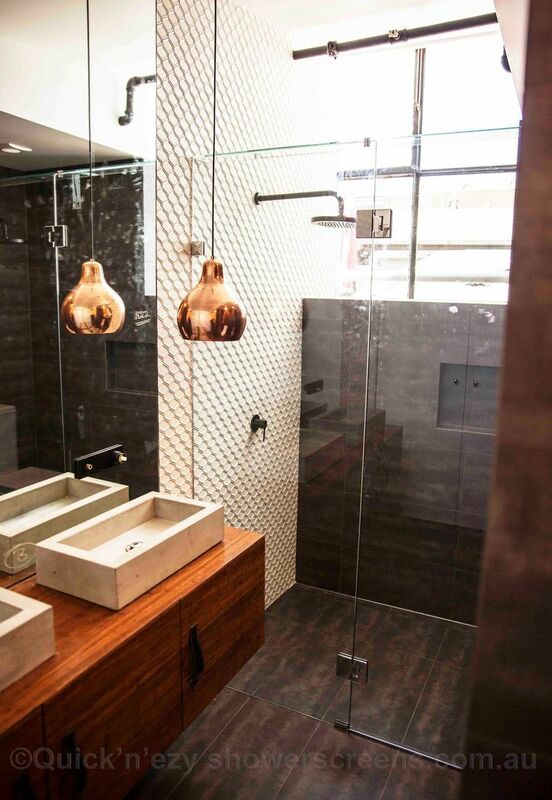 The Frameless 10mm sliding glass door style is the art of the MODERN SHOWER DESIGNS. You will be wrapped with this design and its done with caution n to the prescise measurements.. This is the Pinnacle of luxury in Bathroom designs.. You cannot skip this beauty at all. 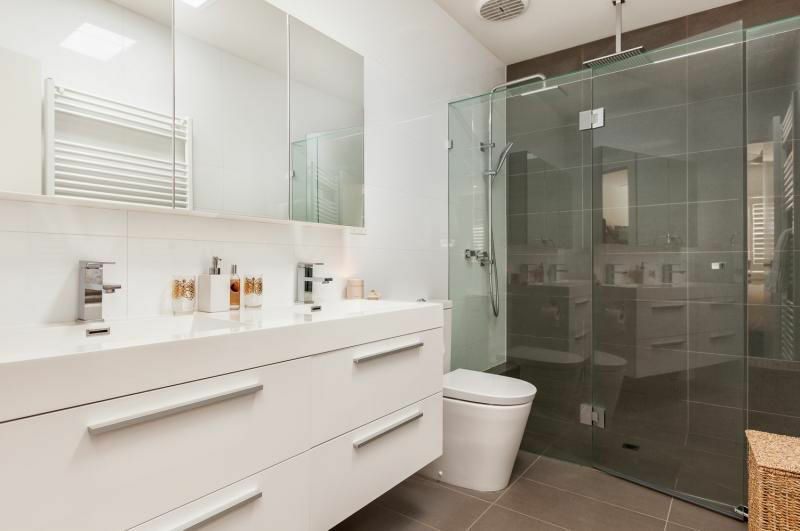 Thsoe who are concerned about space inside your bathroom this is the solution, Since the sliding door slides across it does't take much space in front of the screen n the feel of smooth sliding glass will make you enjoy the engineering expertise behind the design.. They are easy to keep it clean, safe and Installed by professional highly skilled installers according to the Australian Syandards.. This is an easy option for a wider bathroom areas. A simple walk in & walk out type shower screen option..Its so easy to keep it clean..Specially for thsoe who have limited mobility in their physical life..Aged to disable people can easily walk in option..It takes less than a minute to clean the water away in order to keep the Shower glasspanel spot free. 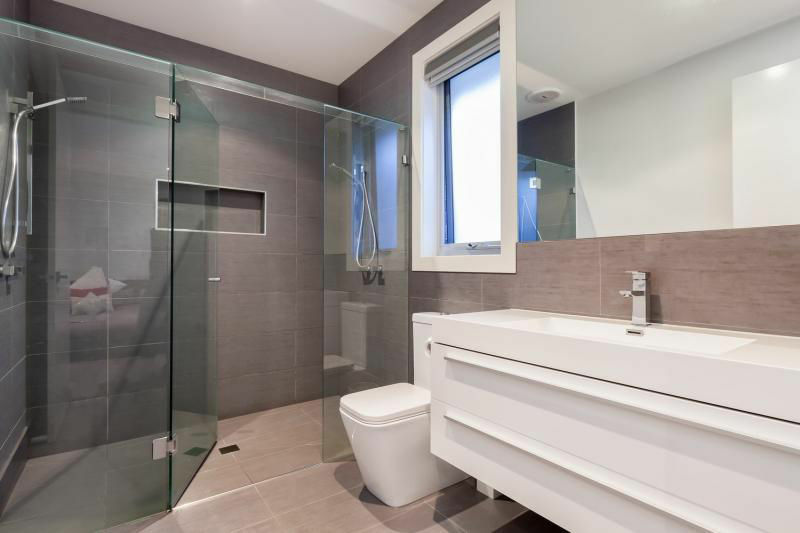 These glass panels are safe prescisely measured according to the bathroom area and installed by highly specialised installers according to the Australian Standards.